This is the bicentennial year of Mary Wollstonecraft Godwin Shelley’s blood cuddling creation “Frankenstein; or the modern Prometheus - a short novel, far ahead of its time in spirit and theme, written in the spring of 1816 by a nineteen year old girl, cuddled together in a dilapidated gothic castle on the icy cold mountains of Geneva, with eccentric geniuses in the form of Percy Shelly - the famed romantic poet and her husband-to-be in few months , the maverick muse Lord Byron who had fled England because of his eccentric ways and incomprehensible life style, and Byron’s half sister Clairmont-with whom Byron was allegedly having an incestuous relationship. An odd motley of genius, artistically sensitive and twisted souls to be huddled in one place. On that particularly cold evening, with effect of intoxicants losing its grip, Lord Byron - the charismatic leader of that group - was bored, and threw open a challenge to his companions to come up with a ghost story which could tingle the spine and raise hairs. Mary retired to work on her ghost story. She had none at that point, but her fevered imagination had been conjuring a grotesque specter for several nights. She was dreaming of Prometheus - the Greek titan who is credited in Greek mythology with creating man from clay and bringing fire to Humanity, for which he was condemned to eternal suffering by the Gods for deceit and arrogance. In her dreams, however, instead of a promethean Hero, Mary dreamt a monster. A man made monster resurrected from death through human means and ingenuity to harangue its progenitor for its horrible fate. Involuntarily, as if pulled by a secret string from nowhere, she quickly sketched the outlines of her tale, and read it out in an atmosphere of hushed silence to her breathless listeners. Byron and Shelley were taken aback by the young girls overpowering and twisted imagination. That in so fragile a body, so deep and explosive a story could reside seemed unbelievable to them. Mary did not write the entire novel in one night. It took her eighteen months to work out the complete narrative (1818), after the idea burst through during that bizarre night in Geneva, and five more years(1823), before it could be staged as a play. During this time, she became pregnant four times, lost three children soon after birth, and during the fourth, she almost lost her life through intense bleeding if not for the timely intervention of her Husband in bringing the bleeding under control. She didn’t name the novel Frankenstein; neither did she attach her name to it. When it was first published in 1818, its author was left anonymous , and readers will left to assume it was written by Shelley or Byron - who were renowned in literary circles then Mary ever was. In a way, Mary was frightened by her work. There was too much of her in it. She intensely wished for all her children to survive, when that was not to be, her intense expectation and anguish was channelized into the demon in her story - a creature bought to life despite all odds. Mary’s upbringing was anything but conventional. She grew up without her mother, who died eleven days after Mary was born. An infection contracted from the doctors hands during childbirth killed her. The Child Mary was named after her mother. Her Father, William Godwin was a philosopher, a social reformer and Godfather to many rising radicals in victorian England. Shelley was pulled into his fold, promptly fell in love with young Mary, and persuaded her to run away with him along with Mary’s half sister Clairmont. It was a bizarre family with streaks of artistic genius and corresponding eccentricity running riot though all of them. The catalyst of the group, and certainly to Mary’s work and philosophy - was Lord Byron himself - the enigmatic, irreverent poet - disdainful of conventions and accepted morality, and severely prone to depressive melancholy. The group idolized him . In their eyes, Byron represented the highest virtues of romantic sensitivity. There was no doubt that Byron was a supreme artist, but under his influence it is impossible to think and live conventionally. His personal life was strewn with failed marriages, illicit and forbidden affairs. But he did leave a lasting impression on anyone who came in contact with him, often in mysterious ways. His daughter Ada, who was to never see Byron during his life time, was to become one of the pioneers of mathematical computing. Byron’s wife separated from him, when Ada was born, making it clear she didn’t want even the shadow of Byron’s immoral influence to fall on her young child. She made every effort to ensure that Ada wouldn’t touch poetry, but that didn’t stop Ada from perceiving mathematical equations and mechanical laws as poetic. Ada, in a way, unconsciously, idolized her father and simmered with the same kind of unrest as him. Byron, and his work had that kind of magnetic influence on people . So, it is from such influences that Frankenstein eventually took shape in the mind of Mary Shelley. The story is about how Doctor Victor Frankenstein’s pride and arrogance in his scientific abilities prompts him to put together a human body from pieces of different cadavers surreptitiously acquired from graves, and breathes life into it. When the creature opens its yellow, decayed eyes and stands before him, he is suddenly aghast and revolted by its presence. He disowns it, chooses not to acknowledge his child, runs away, leaving the creature forlorn and unequipped to face the world it was forcefully bought into. What is created has to be endured or destroyed. With none to support, Frankenstein( as the creature came to be called) slowly learns and becomes self-aware; and with it develops severe self-loathing and a sense of betrayal by the doctor. He turns into a monster, when no other avenue seems open. He begins a killing spree, which in its path doesn’t desist from taking the life of the young doctors fiancee. It is the monsters revenge for what was done to him, and at that point Frankenstein moves from a pitiable accident of fate to the status of a menacing nightmare in English literature. For two hundred years, the myth of Frankenstein has taken different hues and shapes. Drama, cinema, music, folklore have interpreted his nature in multiple ways. Some sympathetic, others not so much. Todays world of Artificial Intelligence and Robotics are termed Frankenstenian - a very popular word in the Silicon Valley. It means a human creation gone out of control. One wonders if Mary Shelley intended her character to take on so many layers of meaning. Some call Mary a visionary, and that she foresaw the advent of knowledge into realms that are forbidden. But I am not very sure, if we consider Mary Shelley’s overall body of writings, she intended to be prophetic. The urge to give life to inanimate matter is a human trait. Since the dawn of civilization, Man has been attempting to turn base metal into Gold; or pore life into dead bodies. Mary's narrative managed to capture that urge into something viscerally terrible and grotesque. Modern day readers may find the prose of Mary’s “Frankenstein” a little verbose and outdated. It is one of her earliest pieces of writing, therefore a little hesitancy is visible in her narrative style. But that doesn’t take away anything from the beautiful descriptions, and sense of horror she weaves. For those of us, who enjoy literature, it is still a delightful treat. Earlier this year, Penguin released a special edition of Frankenstein in commemoration of its two-hundredth anniversary based on her original 1818 text. That a book which began as frivolous entertainment to kill time during a wintery evening, would continue to be published after 200 years is a sign of the book’s stature, and the author’s timeless effort. 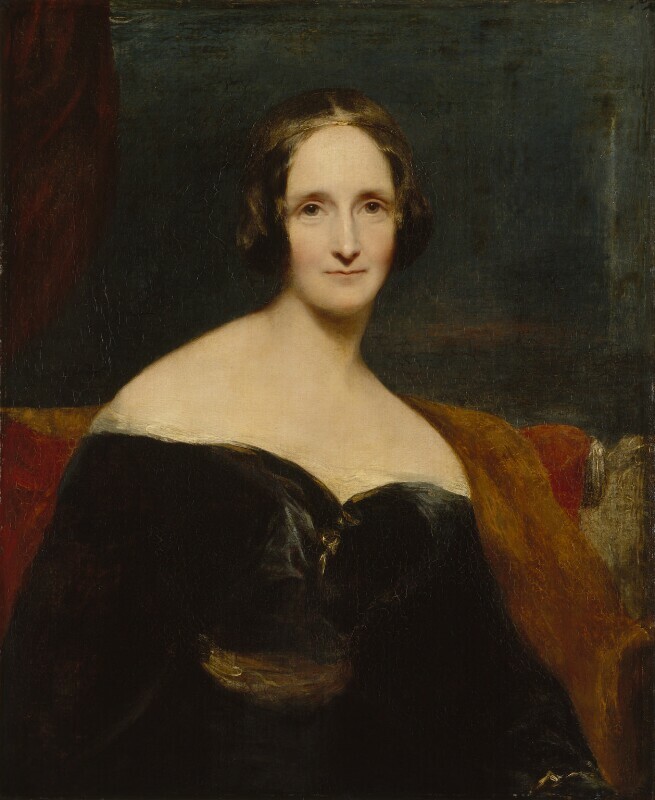 Mary Shelley disregarded this ideal with impunity, and wrote “Frankenstein” - a tale which has stood the test of time and readership. Its timeless message of caution to the inquisitive man, who thinks he knows the boundaries of Human knowledge, only to cross it and be imperiled - will resonate well in this modern age and for as along as man marches blindfolded towards more and more knowledge into natures laws, without weighing the consequences of such a conquest.